Edibles are an effective and delicious way to medicate or enjoy the high from cannabis. It’s also long been a preferred method of ingestion for those who can’t smoke cannabis because of respiratory conditions. Consuming marijuana by way of edibles is just as beneficial as smoking when it comes to medicating because the cannabinoids enter the body through the gastrointestinal tract. The high that results from cannabis is more intense and lasts longer than when it’s smoked. The marijuana market is saturated with hundreds of so manydifferent kinds of edibles to choose from: the classic brownie, drinks, cookies, chocolate bars, candies, and so much more. That’s just the tip of the iceberg! Aside from the medicinal and recreational benefits of edibles, it’s also discreet so it’s perfect for consumption wherever smoking pot isn’t allowed. With all the varieties available out there, it can get overwhelming to choose the right edible for your needs. Choosing the right edible can also be more challenging because there are no industry standards on dosage, ingredients, and potency; factors which will all play an important role in the effectiveness of cannabis in treating your ailments or how stoned you’ll get. Look for cannabis edibles whose packaging includes detailed labeling. It’s important to know how much THC content the edible has as well as dosing information. Without knowing how much THC a serving has, it will be difficult to know what the appropriate dose is unless you resort to trial and error but you may end up greening out from consuming too much THC. Look for a list of ingredients on the packaging. Not all manufacturers have a focus on the quality of ingredients in their product. Consuming cannabis as a medicine means that you also have to be careful about everything else that you are putting in your body. It’s important to eat edibles that also contain ingredients that are healthy for you. There are specific ingredients used in edibles designed to enhance the benefits of cannabis while others also add medicinal value because they can reduce inflammation, give you energy, and strengthen the immune system. 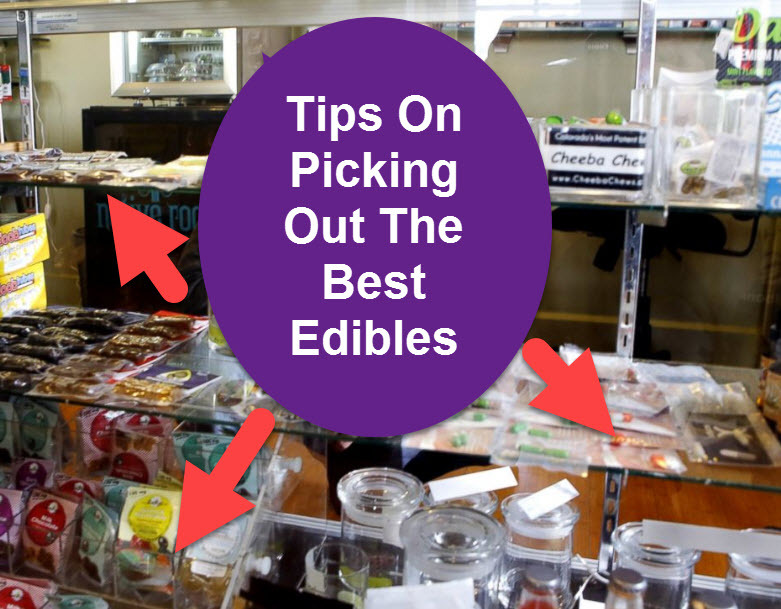 Look for edibles with lab-tested products. This is particularly important if you use cannabis for medicinal purposes only. Buying products that guarantee lab testing will ensure that you aren’t exposed to contaminants such as growth byproducts, fungicides, and pesticides which might be harmful if you have an existing condition. What to Look for When Choosing Cannabis Edibles - Natural Cannabis Co.